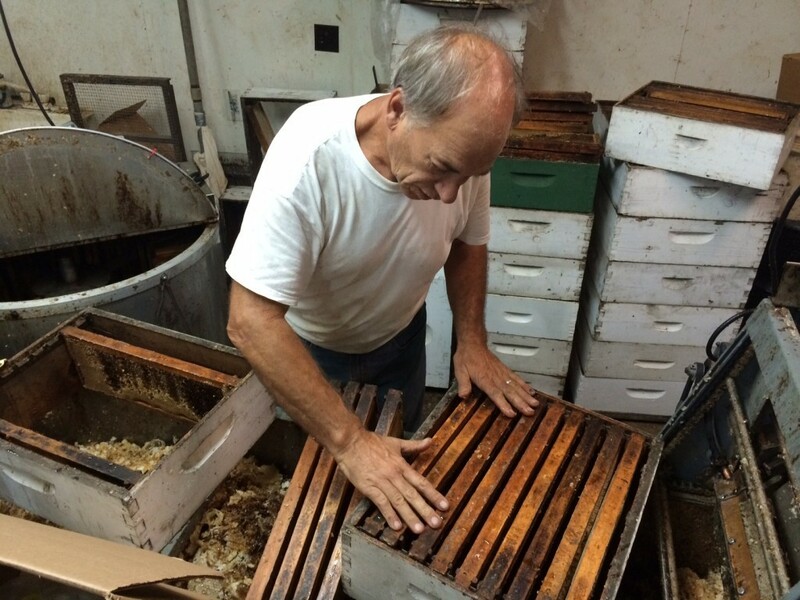 Weeks Works, incorporated in 2000 by BJ Weeks, produces and sells honey in over 70 locations in the north Metro area. BJ went from managing 100 hives in 1995 to 500 or so now. 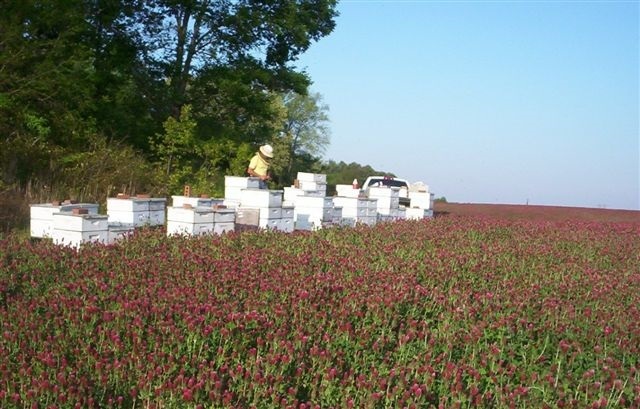 In addition to honey Weeks sells wax and also contracts pollination services to growers across the state. Bees have become increasingly difficult to raise in the last decade or so, BJ said that production on his hives has gone from 70 barrels in 2001 (a barrel is approximately 660lbs.) to 36 barrels in 2014. BJ has been very active in the Cherokee County Bee Club since 1994 and helps to share his knowledge and experience with fellow beekeepers and would-be beekeepers at the Club’s yearly Bee School. BJ is seen here uncapping frames of honey before they go into the extracting machine (back left) which spins at 280 RPMs. A Walk in the Woods. I also asked BJ what the best book for the beginner beekeeper is and he recommended Beekeeping 101 by Dana Stallman. Fishing, when there is time. I grew up on a farm in Iowa and my dad replaced the sugar in the house with honey and in 1964 he and my uncle started keeping bees. Of course he and my uncle, who was a plumber, didn’t really have time to keep up with them so I started working with them when I was 10 years old. Back then you really didn’t need to know much about bees you just had to have the time. Twenty hour work days. People have asked me if you can make a living keeping bees and I tell them after 120 hours per week you really don’t have time for anything else. Trying to be the best at what I do. What is the one thing you wish the general public or the beginning beekeeper knew more about? That internet information is not always as reliable as they think. BJ checks his hives on a field of crimson clover, one of the bees favorite forage sources. Photo courtesy Trina Weeks. Posted in Bees, Beneficial Insects, Cherokee County, entomology, local business. This entry was tagged apiary, Bees, Cherokee County, Honey, honey producers, local honey. Bookmark the permalink.